Ready to embark on a new journey to achieve your health goals this year? Say hello to the new Intermittent Fasting Journey! There are certain things you must do regularly to stay alive: drink water, sleep, breathe, and eat. But eating is the only essential bodily need that can be halted and actually help to elevate our energy and vitality levels instead of harming us. That’s where Intermittent Fasting comes in. Intermittent fasting (IF) is a scheduled eating plan where you fast for anywhere from a few hours to 36 hours at a time. This new Fabulous journey will guide you through the process to successfully and safely complete your first fast. But why do it in the first place? After all, there’s other ways to amp up your energy levels. There is a large body of scientific evidence showing the many health benefits of intermittent fasting. 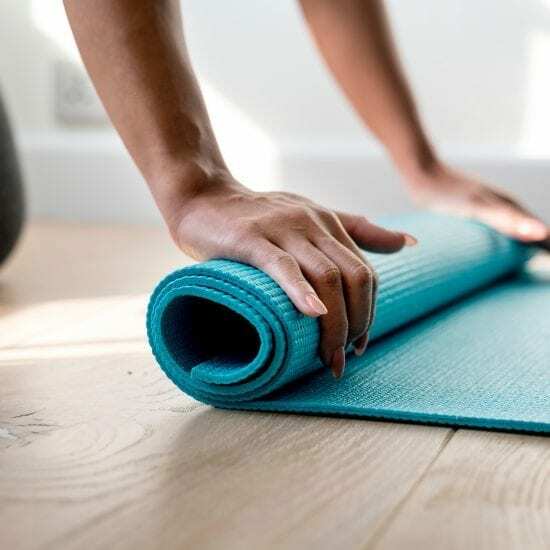 A study in the Canadian Medical Association Journal found that IF has an affect similar to exercise: it puts the body under mild stress leading to a boost in immunity. 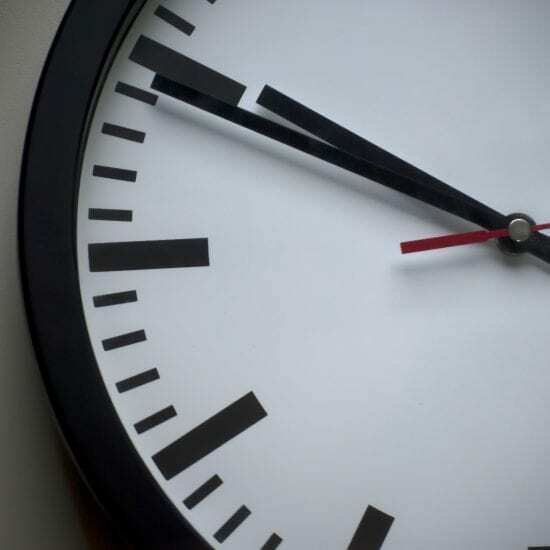 The Annual Review of Nutrition went further and suggested that intermittent fasting could help to regulate metabolic biomarkers, like insulin and glucose, associated with chronic diseases such as diabetes. 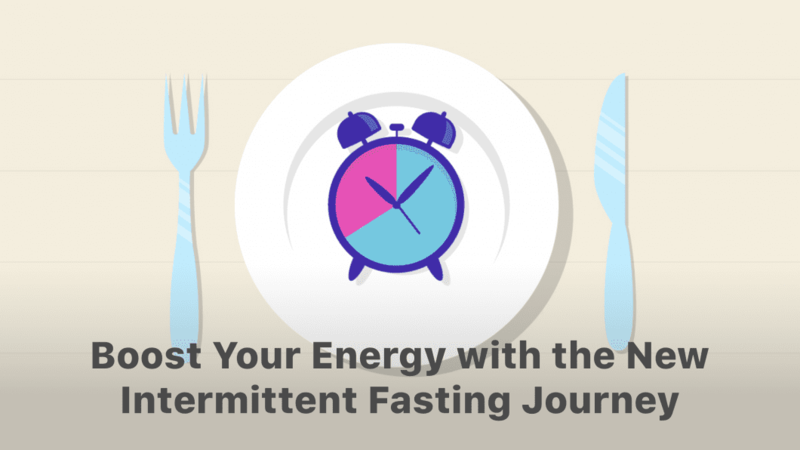 Aside from the direct health benefits, fasting can help you develop a mindful approach to nutrition, quelling overeating and making you more conscious of your body and its natural hunger cues. Then when you do eat, it becomes a more purposeful, pleasurable, and sensory experience. Food tastes fresher and more vibrant when you have gone without. Absence really does make the heart grow fonder! It’s not about starving yourself. It’s not a diet, although you may lose weight. Intermittent fasting is a plan where you schedule and cycle days when you fast and days when you eat normally. But it can be so much more than just that. Intermittent fasting is a sure-fire way to dial up your awareness and tune in to exactly what your body needs. You may also find that during your periods of fasting you experience something transcendental. That’s because fasting can become a meditative practice as it frees up mental space for reflection and contemplation. And fasting as a meditative practice is nothing new, it’s actually an ancient human tradition. Almost all religious scripture references the practice of fasting as a way to connect with the divine or to seek enlightenment. The Intermittent fasting journey will not only teach you how to slow down and really savour your meals. During fasting cycles, you’ll find you have more time to reflect and be introspective. Mindful eating, like all forms of mindfulness, is about connecting with the self. You’ll carve out time to state clear goals and move towards more intentional living. You’ll adopt an 8-hour eating pattern, having an early dinner and a late breakfast the next day. This means that for most of the fasting window you’ll be asleep! By the end of the four-week journey, you’ll complete a 24-hour fast. Researchers at MIT found that a fast of this length can double your metabolism, so you’ll feel amazing by the end of the journey! And there’s no need to feel intimidated by that goal. We’ll be there to give you all the support you need along the way. Are you ready to see what intermittent fasting can do for your body, mind and spirit? 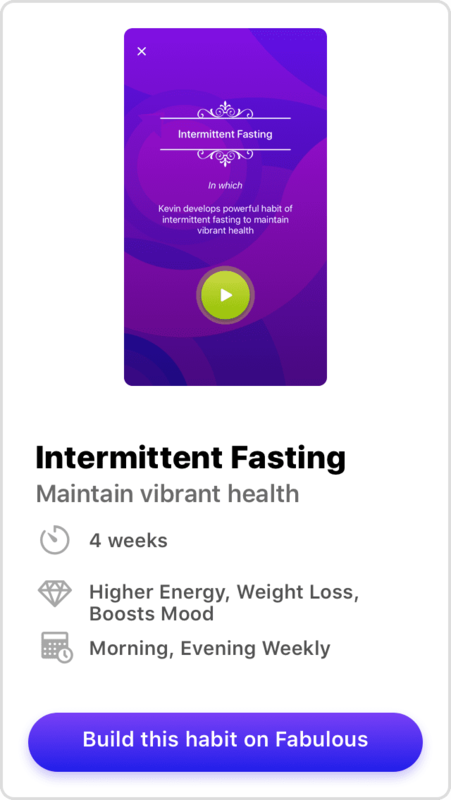 Download the Fabulous app and try The Intermittent Fasting Journey today! The Intermittent Fasting journey is created to introduce all the benefits of fasting, but it isn’t right for everyone. That’s why it’s a good idea to consult your doctor before beginning any new health plan.